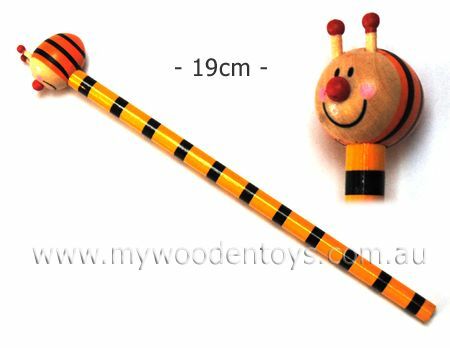 Bee Wooden Pencil is a 19cm long wooden pencil with a smiling bee on the top. The pencils body is a lovely yellow with black stripes. The little bee on the top is well made and very smooth. We like this because: "It has a very happy bee on the top. "